People will "pay and have no say" on immigration and other issues if the UK votes to leave the European Union in the referendum, a Labour MP claims. Tristram Hunt, for Remain, told the West Midlands EU referendum debate that to trade with the EU the UK would "have to accept the free movement of labour". But in an angry exchange, Lord Digby Jones said the MP was "lying" as no-one knew the conditions of any trade deals. The Leave campaigner told the MP: "You are peddling 'maybes' as fact". Mr Hunt, MP for Stoke, demanded an apology from the former head of the CBI, saying: "I will not let you sit there and call me a liar about the facts." 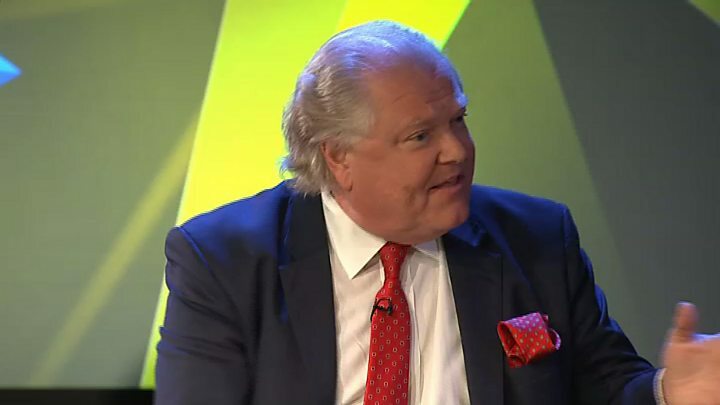 He said the UK would be "like Norway" in having to accept the free movement of labour as part of EU trade deals, but Lord Jones insisted the UK could not be compared to other countries. "Just because they have done a deal like that, doesn't me that we would do a deal like that. And actually I don't know the deal we will do and with great respect neither do you," he said. Mr Hunt later told the TV debate his constituents in Stoke, such as those working in ceramics in particular, were "heavily dependent on the European Union for business", adding people who wanted to leave were walking towards a "DIY recession". But Lord Jones argued "The challenge before all of us is we have to fashion our economy so our grandchildren have healthcare, welfare and pensions that the economy can afford. "The status quo will not deliver it for anybody and you [Remain] want the status quo." A referendum on 23 June will decide where Britain should leave or remain. Better In or Out? A BBC Midlands Today Referendum Special is available on iPlayer.